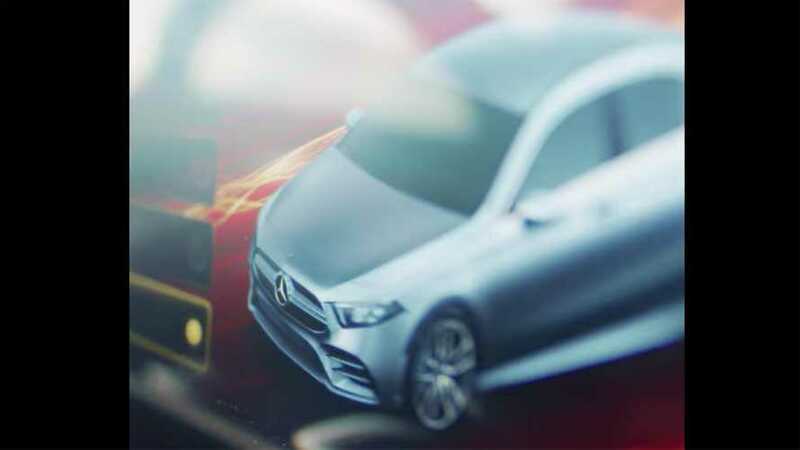 The Mercedes-AMG A35 Sedan is on the way, and this brief teaser provides an official look at the compact performance four-door. Unlike the existing hot hatchback, this one should come to the United States. As a variant of the existing A35 five-door, we already know a lot about what to expect from the sedan. Power comes from a turbocharged 2.0-liter four-cylinder making 302 horsepower (225 kilowatts) and 295 pound-feet (400 Newton-meters). A seven-speed dual-clutch automatic gearbox sends the output to an all-wheel-drive system. Mercedes' specs indicate the hatchback can hit 62 miles per hour (100 kilometers per hour) 4.7 seconds and a top speed of 155 mph (250 kmh). The figures from the four-door should be very similar. The A35's cabin looks like other members of the new A-Class lineup by incorporating the dual-screen MBUX infotainment system. The AMG model offers a variety of driving modes, including Comfort, Sport, Sport+, Individual, and Slippery. The occupants in front sit in heavily bolstered chairs. In terms of design, the A35 sedan should look the same at the hatchback from the front. At the back, this teaser video reveals a slightly different diffuser design than the high-door. A recent video indicates the A35 is a performance powerhouse in its segment. In a quarter-mile drag race against an Audi S3, BMW M140i, Ford Focus RS, and Volkswagen Golf R, the Mercedes took an early lead before narrowly losing out to the Audi for overall victory. Mercedes' teaser indicates the A35 Sedan debuts very soon, but we don't yet know how soon sales in the United States could begin. An arrival before the end of the year at least seems possible, though.